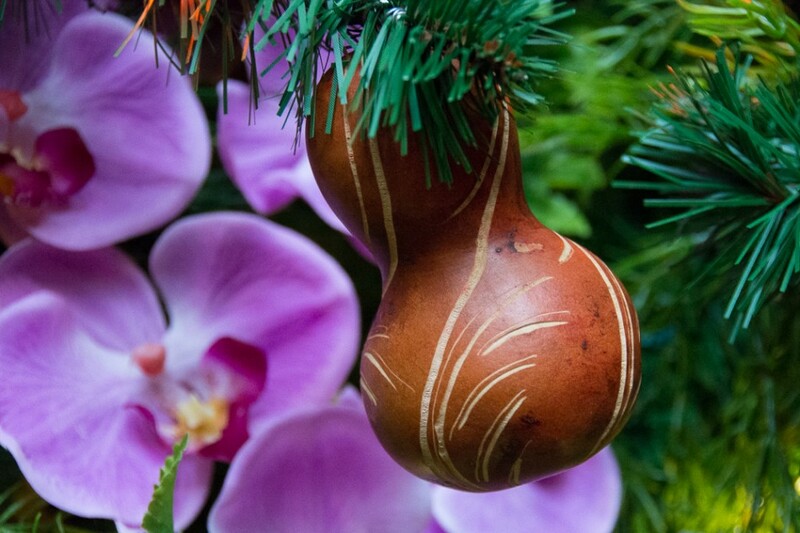 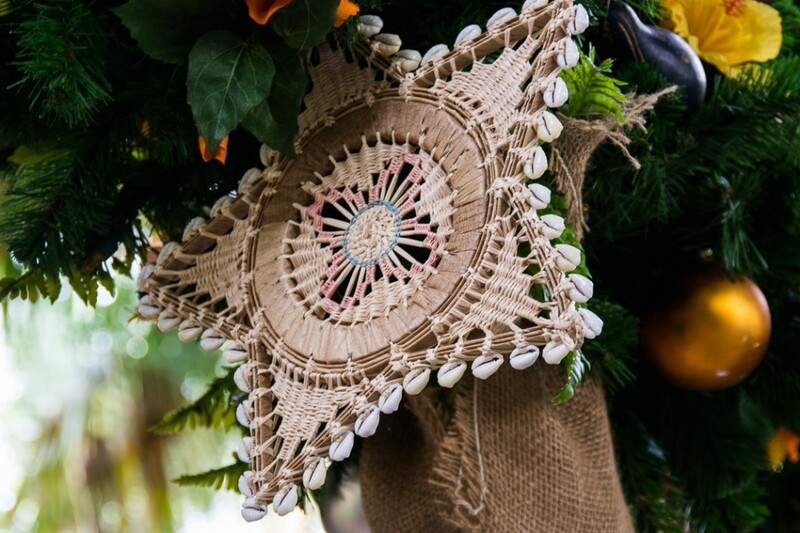 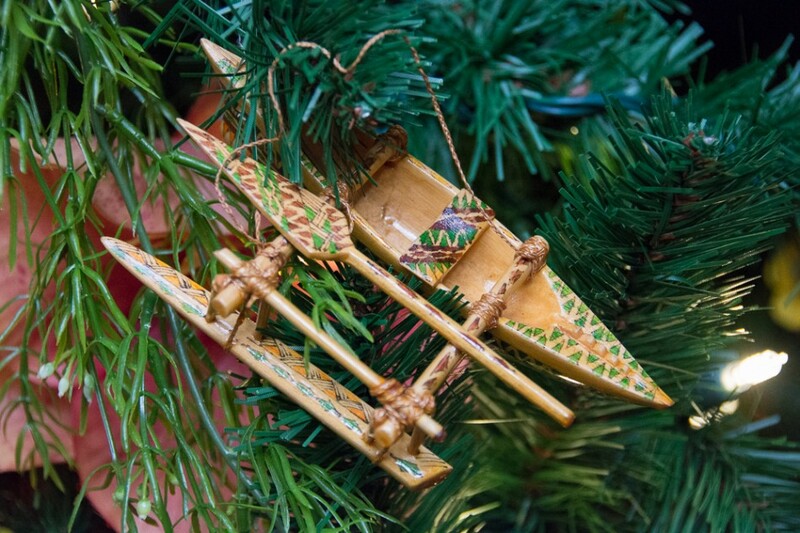 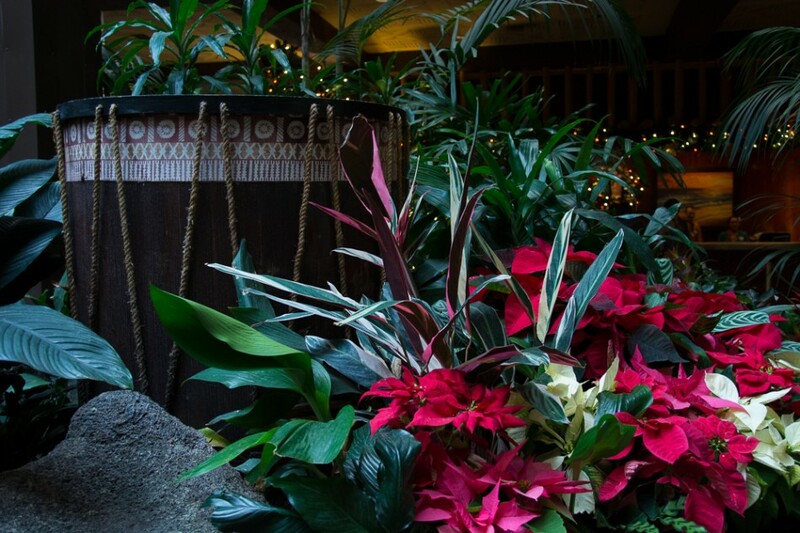 Inspired by life in the Pacific Islands, Christmastime at Disney’s Polynesian Resort is especially beautiful. 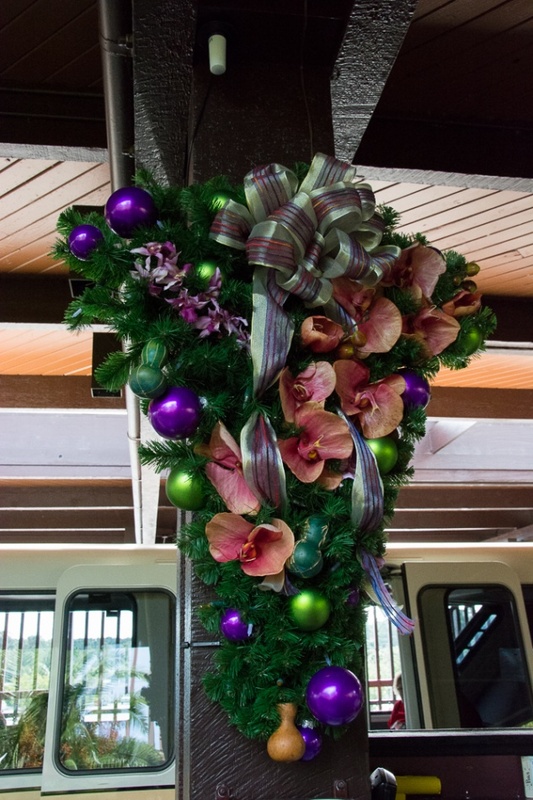 I love the inclusion of all the tropical flowers in the wreaths and garlands. 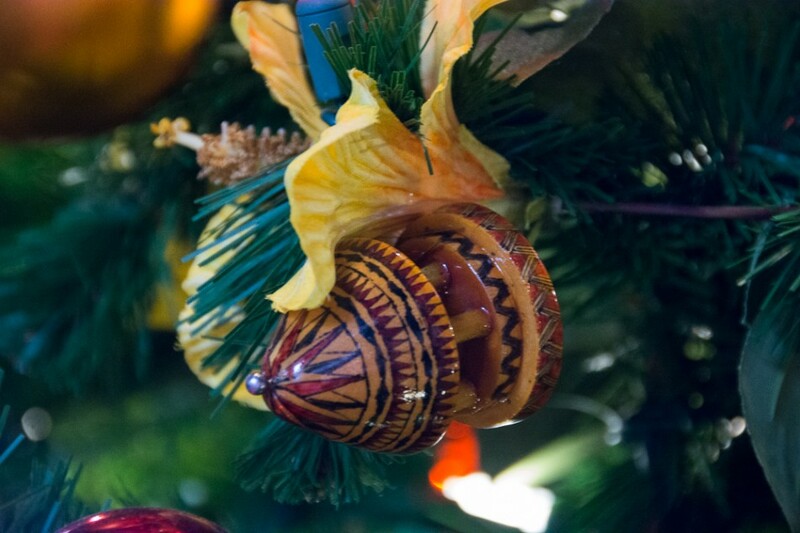 The paddle over the doorway and the shells on the ornaments let you know the ocean is nearby. 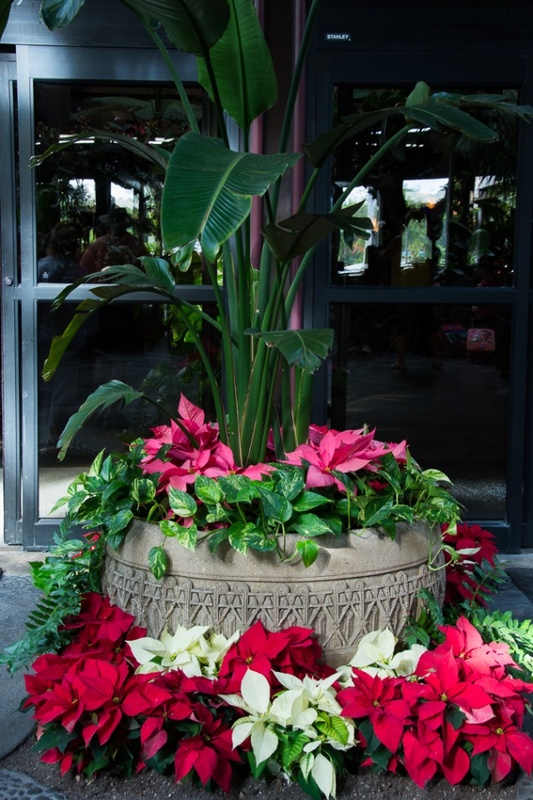 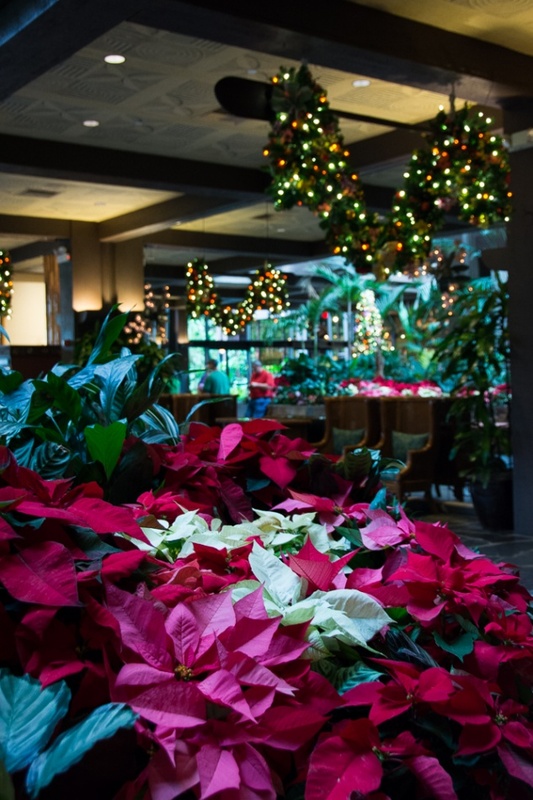 Poinsettias are very much the dominant decoration at the Polynesian. 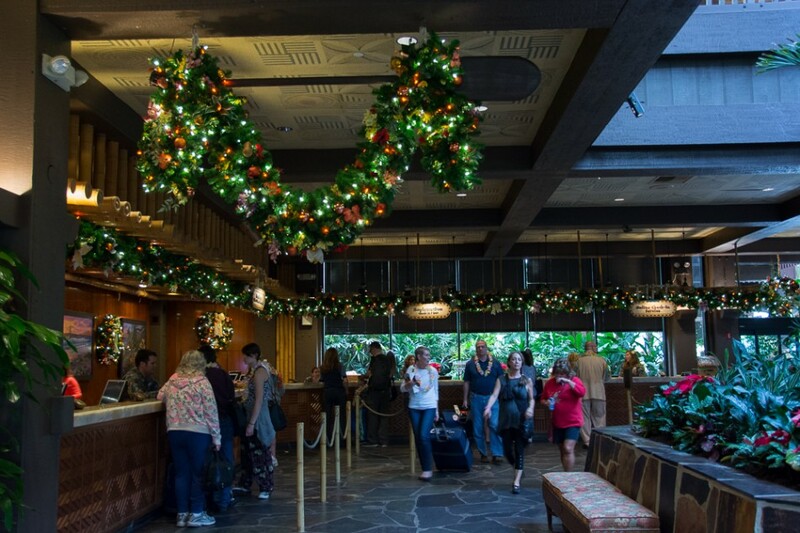 The gold and white lights give the resort a warm and welcoming feel. 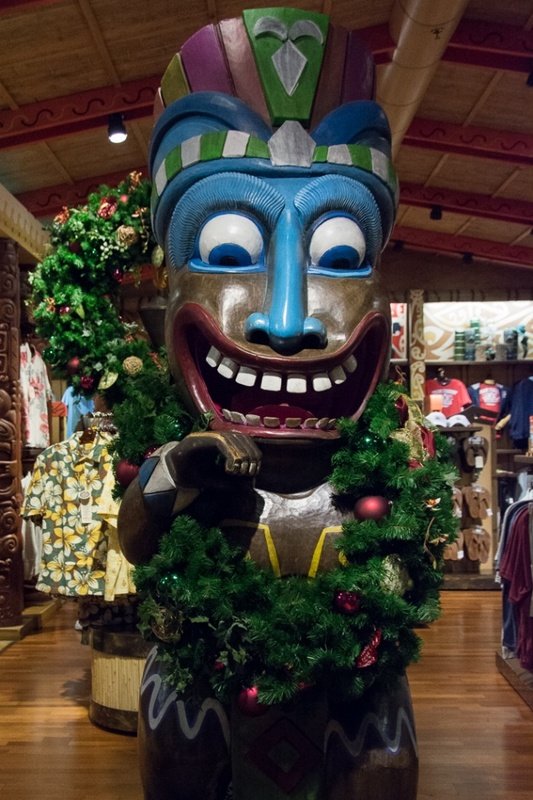 In the merchandise shop, the tikis get into the holiday spirit as well! 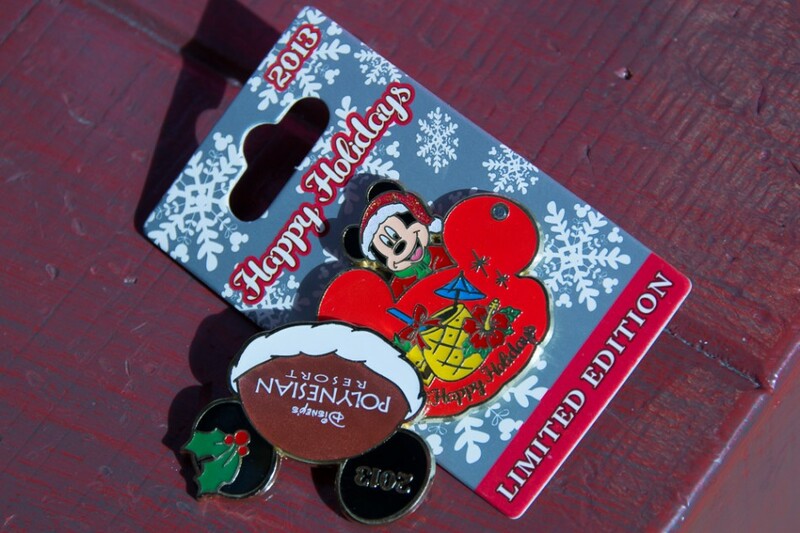 While there, I thought I’d show you the limited edition holiday pin. 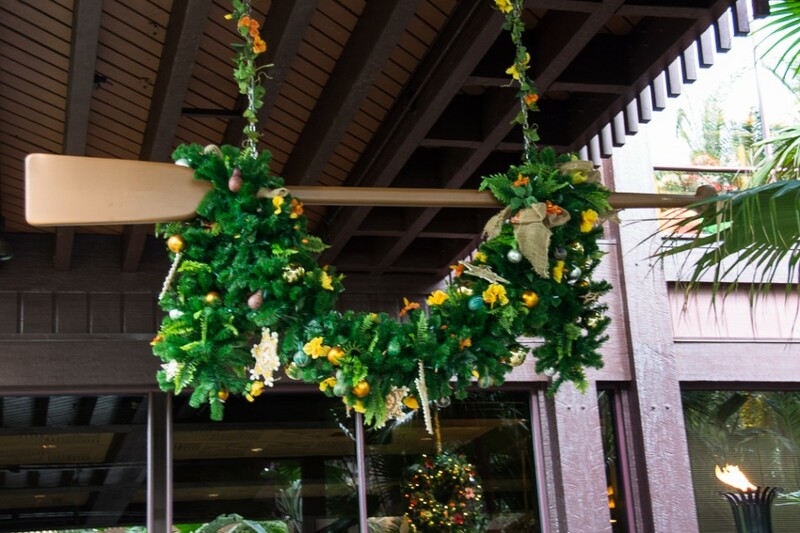 There are several wreaths around the resort. 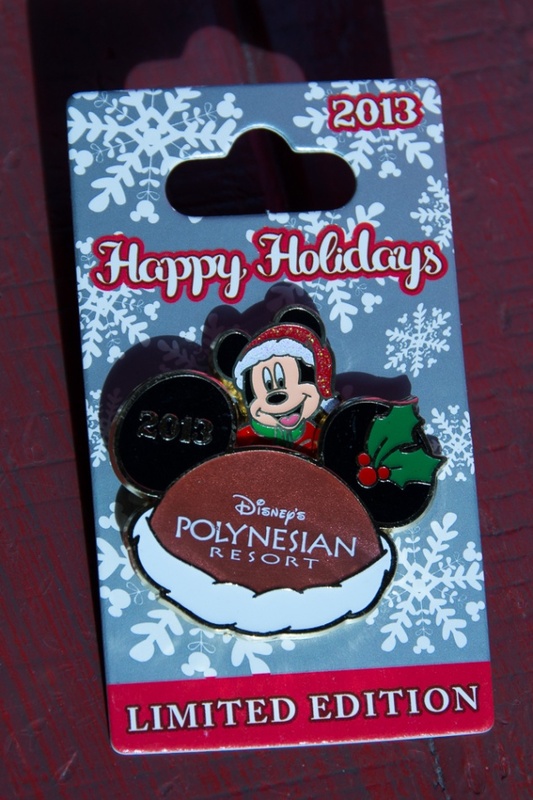 This one is in the Merchandise shop and is a little simpler than the ones in the lobby. 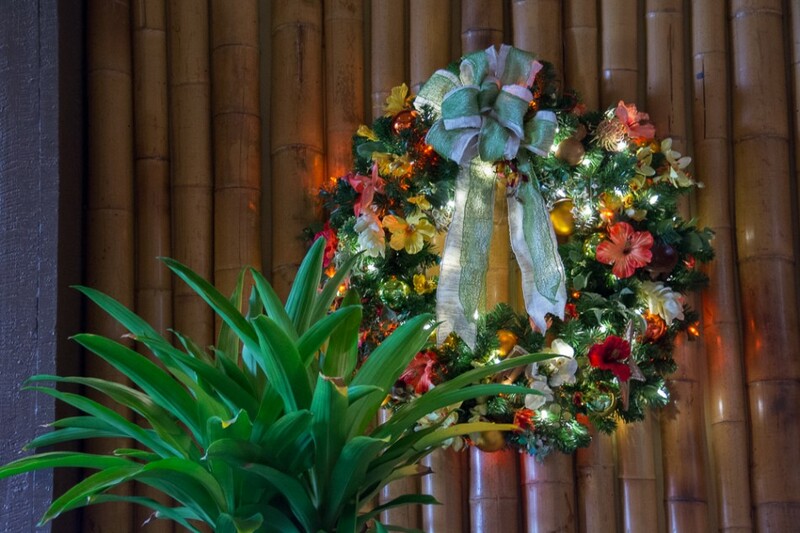 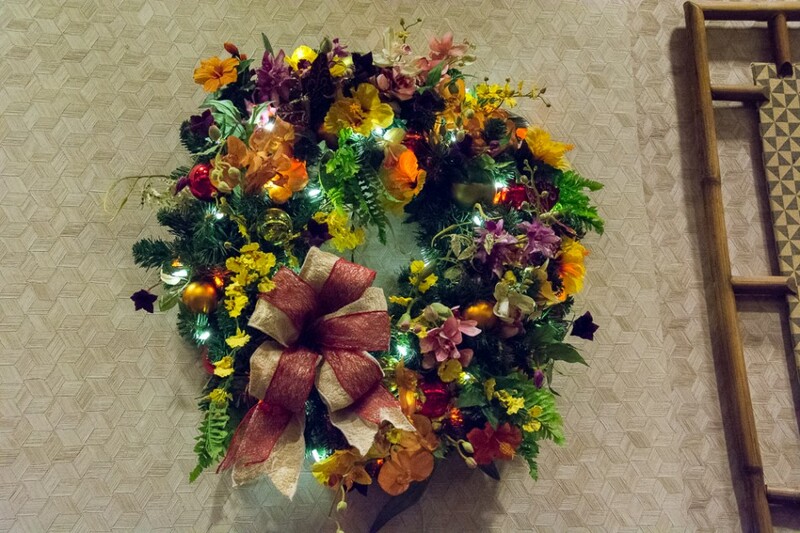 The lobby wreaths are really pretty, decorated in tropical flowers, gold and white lights and Pacific Island inspired ornaments. 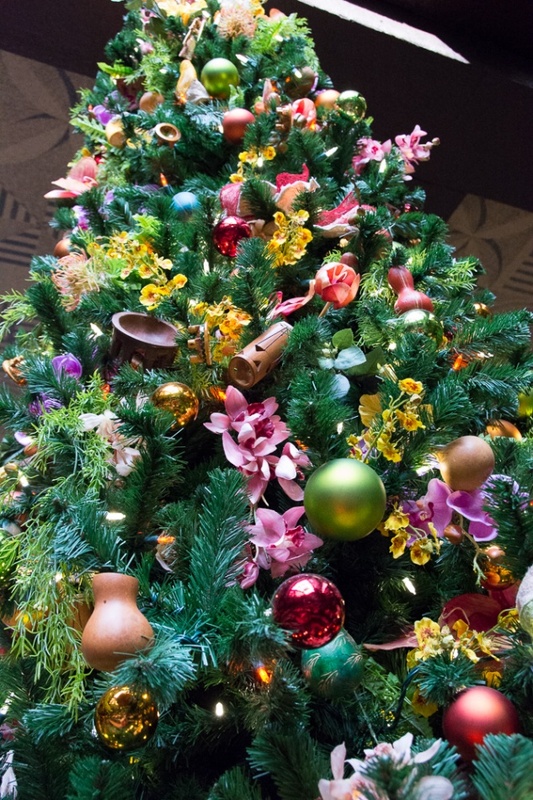 The Christmas tree at the Polynesian is small, but really beautifully decorated. 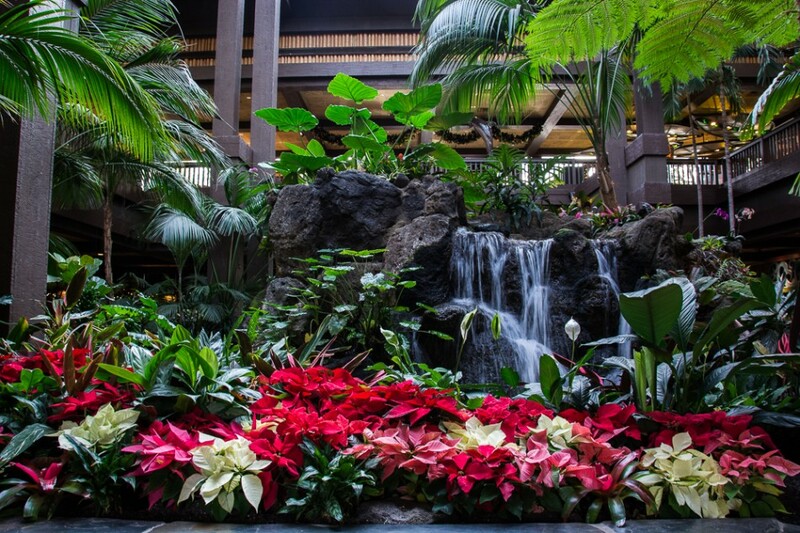 The Polynesian doesn’t scream Christmas, but the feel there is warm and inviting, like going home to family – if they happen to live in Hawaii that is! 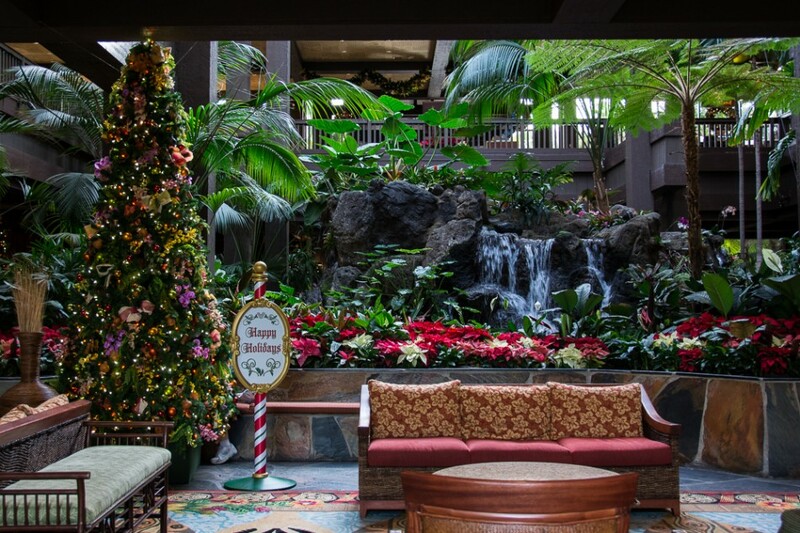 I hope you are enjoying our tour of the Magic Kingdom Resort area’s Christmas decorations. 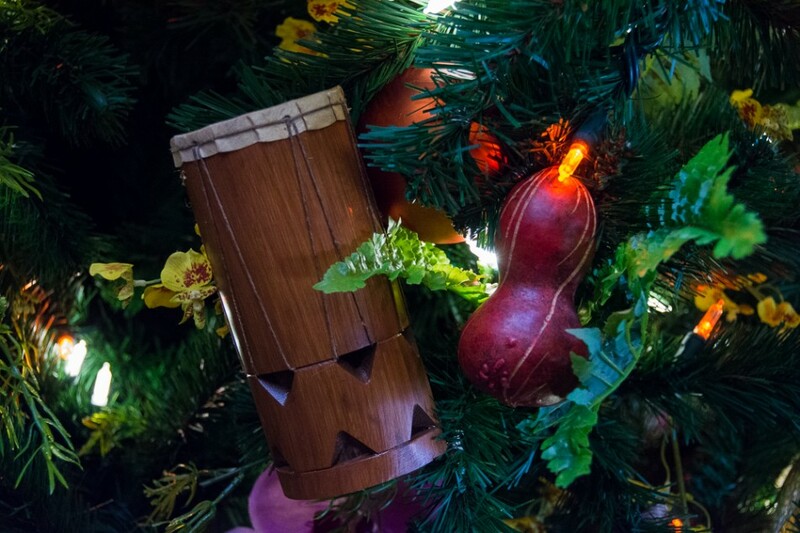 On Monday we went to the Wilderness Lodge and on Tuesday we had a Contemporary Christmas. 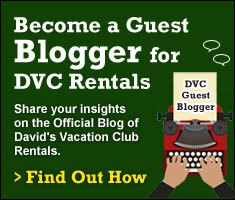 Tomorrow is our last day of the tour. 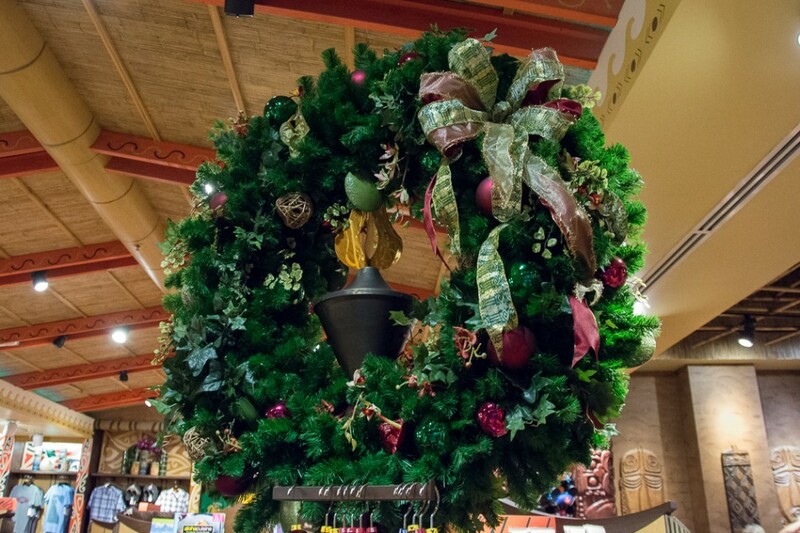 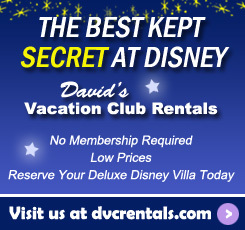 Come back to see how things are done at the Grand Floridian.